For the fall/winter 2016-17 season, Okinawa is presenting its latest, unique materials at the most important fairs, including qualities such as Jacroki® and Microki®, as well as its special ennobling processes with Hydroki®, Washoki® , Historia®, Tinctoria®), and the new and revolutionary “Denim Leather™” finishing technique that uses the innovative and legendary Indigo dyeing process, combining it with the Washoki® and Hidroky® sys tems, for a “naturally spectacular” result. Okinawa succeeds in combining the highest aesthetic aspirations with sustainability, thanks to two exclusive, innovative and versatile materials, and four unique technological procedures of finish and ennoblement. Together they were developed to give an extraordinary look and feel and great material technicity in fabrications for Fashion, the Home and accessories, confirming Okinawa as a leader in “Smart” materials of the highest quality and an unmatchable creative assortment! Jacroki®: a patented material, which is naturally derived, free of any animal exploitation, recyclable, and extraordinarily versatile. It is a unique material with a smart DNA, created with pure, recyclable cellulose and a small percentage of latex. Jacroki® is highly resistant, soft and beautiful, and aesthetically resembles the finest leather Also, being 100% vegetal. It has excellent wash stability and high resistance to abrasion. Creases and natural texturing are distinctive features that make it a versatile material which is ideal for many end-uses such as clothing, homewares, labels and seals, accessories and automotive applications. It is available in different colors and thickness, with a variety of finishings and touch aesthetics. It can be washed, ironed, printed and sewn depending on application: it comes with endless customization possibilities. Okinawa's vertically integrated production is completely Made in Italy guaranteed, starting from the raw material. On the grounds of its extraordinary environmental compatibility, Okinawa has demanded the ECOLABEL certification, the EU trademark that certifies the best environmentally friendly products. Microki®: a new concept of eco-leather, that also avoids animal exploitation, and is completely non-toxic. Microki® is an innovative microfiber eco leather, created with an exclusive process that only uses nontoxic materials in its production. It comes with an extraordinary feel and the looks of the highest quality leather, indistinguishable from the real thing. Its contemporary looks make it particularly suitable for the production of cruel-free clothing and accessories for both fashion and home decor. It's perfect for clients who are concerned about ethical issues. It can be washed at 40°C without changing its appearance. Microki® is a new work in progress. Stay tuned for upcoming developments! Ennobling procedures with an eye on leather styles. Hydroki® stands for wet white and metal-free tanning for clothing, shoes, leather goods, home decor, and accessories. It is available in a wide range of bright, fashionable colors including vegetal formats. The process, which is completely non-toxic, is CLASSE I OEKO TEX® Standard 100 certified, hence it is one of the safest procedures for human health, with no irritation, even for a child's skin. 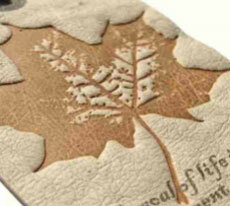 Hydroki® processed leather is perfect for all applications. It can be dry-cleaned, or washed at 40°C, preserving its features, is color fast and stable to shrinkage. Washoki®: the special leather which is not afraid of water Washoki® is a wet blue tanning process suitable for any kind of leather that makes it washable in water up to 60°C (140°F), can be dry-cleaned without harming its natural softness or altering its extraordinary natural colors. This exclusive tanning enhances the natural beauty and softness of real leather, even the most delicate goat and calfskins. Washoki® is an incredibly safe and non-toxic procedure that complies with REACH 2015, the ministerial certification that regulates the use of chemicals in production processes. Historia® Tinctoria. Okinawa's dyeing system mainly uses vegetal dyes, inspired by the ancient dyeing techniques. Natural colors are derived from plants and applied to both leathers and robust fabrics, as well as to the most innovative microfiber and cellulose materials, and always with the greatest respect for the environment and the consumer's health. On top of all this, we use metal-free dyes to be able to provide clients and partners with endless customization possibilities. Okinawa's nontoxicity can allow any environmental and health-related certification to be requested and obtained. The most exciting and recent news that comes from Okinawa's research is Denim Leather, an innovative dyeing and finishing technique for leather and eco-leather inspired by denim. This exclusive finishing is available for Hydroki® and Washoki® processed leathers. Denim Leather has the unique look and feel of a denim leather. This leather acts just like denim cotton jeans, in that it ages and color shifts during washing, achieving that natural look that makes denim so fascinating. Barrel dyeing provides a natural stone-washed effect, while finishing is carried out with variable intensity depending on the desired effect customers want. Color can be removed with the typical techniques used for denim: stone wash, scraping, laser etc. Endless and highly customizable effects can be obtained, with shiny or opaque finishing, new and clean, or aged and vintage effects. The final result unconvincingly resembles a classic jeans look, but now available in the preciousness and unique character of leather. 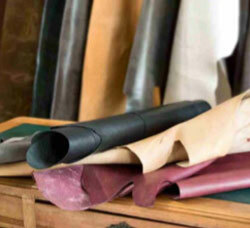 The Denim Leather process can be used on different kinds of hides from bovine to sheep, goat and crossover hybrids, and can work in a wide variety of thickness, to create for a wide variety of products and styles. Okinawa has the technical and creative expertise to suggest the most appropriate kinds of leathers for any product one might want to create, such as calf, for example, which is perfectly suitable for trousers and jackets, while goat is ideal for shoes. When applied to wet-white leathers, Hydroki® is CLASSE I OEKO TEX® Standard 100 certified, and can be dry-cleaned or washed to 40°C (104°F). In the Washoki® wet-blue version the final product has an extraordinary resistance to both dry-cleaning and washing now up to a 60 °C –program. (140°F). Okinawa's research is dedicated to developing new and unique materials, dyes and customized finishings that can be used in many different ways for clothing, leather goods, shoes and home ware design. Aesthetics. The company pays great attention to the aesthetic appeal of the materials i throughout its many production process routes. Innovation and quality. 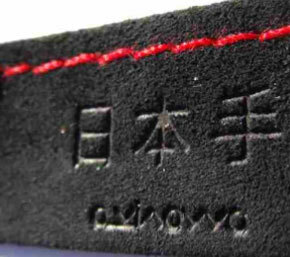 The materials and ennobling procedures created and developed by Okinawa are unique and come with extraordinary features of strength, durability, dimensional stability and mechanical resistance to abrasion, flexing and degradation. Okinawa's high-quality system is ISO 9001 certified and is applied to every phase of the development procedure from design and production, quality control, and sales. Safety. For all its production and materials processing, Okinawa uses only non-toxic chemicals, naturals or vegetal dyes that come with the strictest certifications in this field. Washability. The process to make leather washable is unique and is only offered by Okinawa. It allows you to have the best possible looking, easy care and durable leathers today. Sustainability. Every material and procedure are developed following all the usual standards in this category, earning them the most rigorous sustainable certifications. Smart Materials is the division that researches and produces materials, finishings, and sustainable processes of ennoblement while minimizing the use of chemicals. 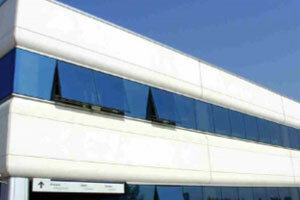 Opened in 2013, this division has developed Jacroki®, Microki®, Hydroki® and Washoki®, the above mentioned exclusive materials and finishings that stand out for their uniqueness and versatility.